1. 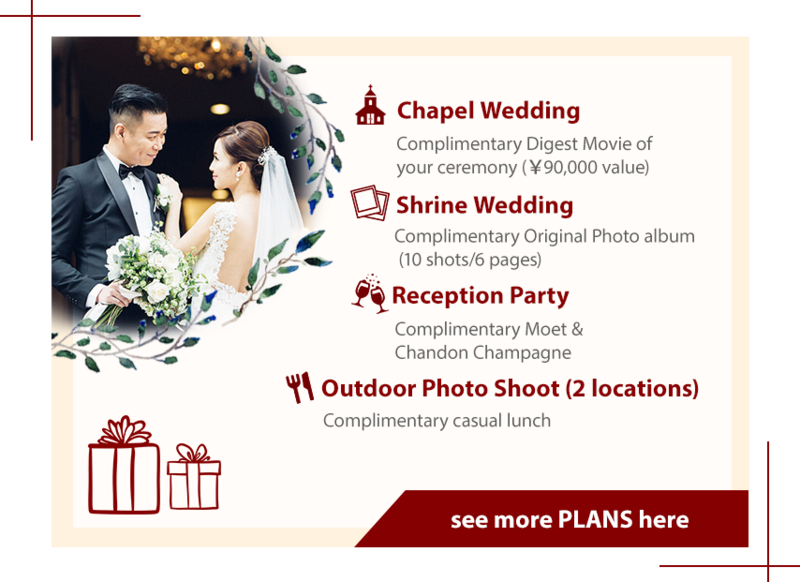 Authentic Japanese Shinto wedding Our complete wedding production takes you from a Shinto wedding ceremony at historic shrines in Kyoto to a picturesque luncheon. We provide full support for the ceremony procedure at shrines, guidance for manners and assistance on the wedding day. You can choose your dress, makeup, photos, and flowers depending on your needs. 2. A large selection of Kimono and accessories from long established kimono stores in Kyoto The large selection of kimonos and accessories is unique to our kimono store which has been in business for 45 years in Kyoto. We have a wide selection kimonos from vintage to modern designs.Even if you live far away, you can choose from our kimono catalogue with ease. 3. Bilingual customer support Chinese native speakers and fluent English speaking staff support non-Japanese speaking customers. You can request details, consult via email and phone, so even international bridal couples and those who are living abroad can prepare for a perfect wedding without stress. 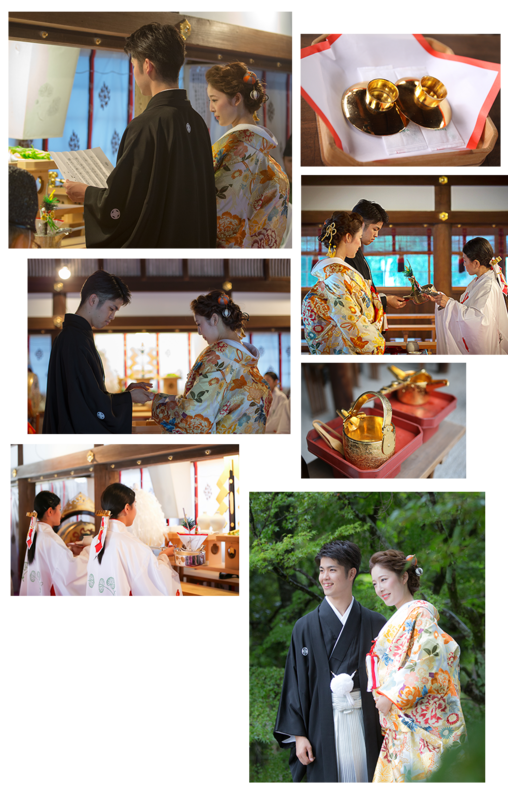 The bride and the groom promise their love and forge their bond in traditional Japanese Shinto style. 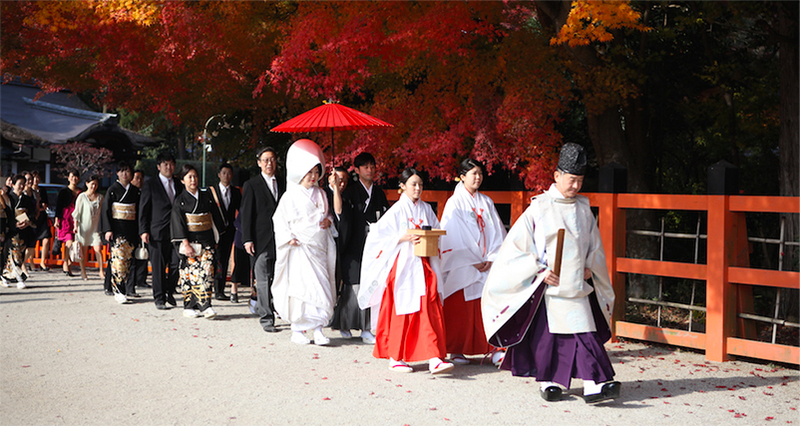 guided by the Shinto priest and the shrine maiden. purifies the bride, the groom and assembled congregation. with happiness for the duration of their days. and agree to a contract binding their lives together in marriage. the Shinto shrine maiden and make offerings to the altar. take three sips and drink the sacred sake voicing agreement to the binding of two families into one. All the attendants sit up and bow with the Shinto priest to the altar. The Shinto priest announces their marriage and closes the ceremony with a benedictory speech. first the bride and the groom, followed by their parents and other family members.